Heat oven to 375°F. 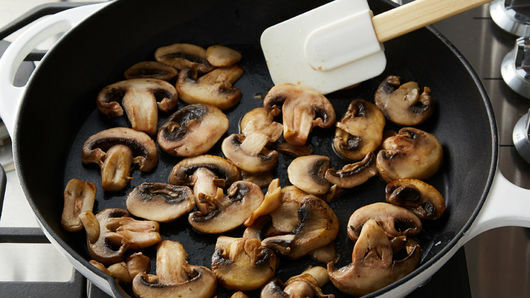 In 12-inch ovenproof skillet, heat 2 tablespoons of the butter over medium-high heat; add mushrooms, salt and pepper. Cook 3 to 5 minutes or until mushrooms are tender and browned. 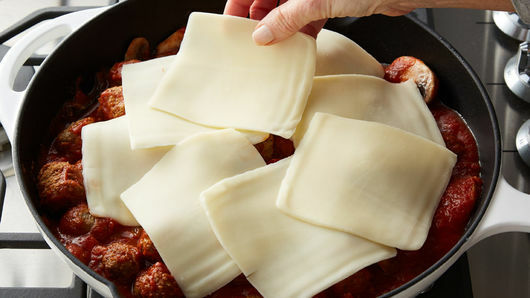 Reduce heat to medium-low; add meatballs and pasta sauce. Heat to simmering; cover and cook 10 to 15 minutes, stirring occasionally, until meatballs are heated through. Uncover; remove from heat. Top with cheese slices. In small microwavable bowl, microwave remaining 2 tablespoons butter uncovered on High 20 to 30 seconds or until melted. Stir in garlic powder; brush on 1 side of each bread slice. 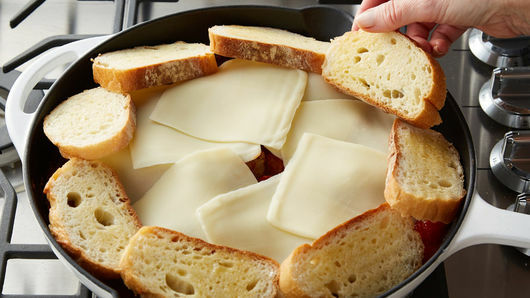 Arrange bread slices, buttered sides up, onto cheese layer around outer edge of skillet. 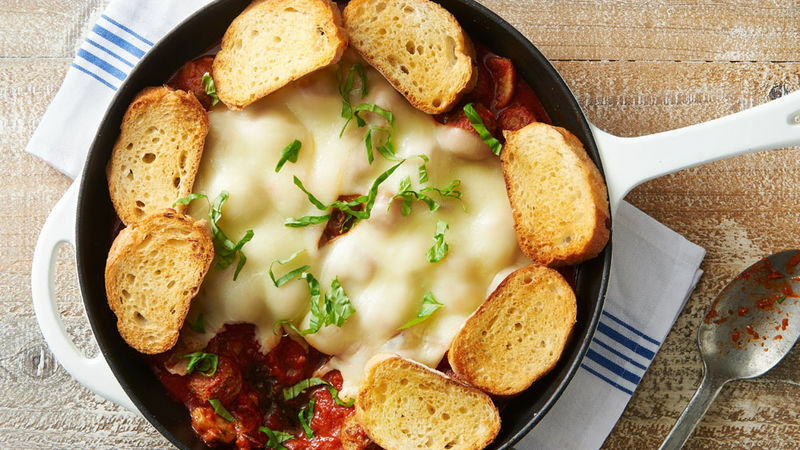 Bake 10 to 15 minutes or until cheese is melted and bread is lightly browned. Garnish with chopped basil. Feel free to use another variety or flavor of pasta sauce in this recipe. Use your French bread slice to soak up the delicious pasta sauce.